Alan Green, MD has been treating patients with an experimental anti-aging cocktail of rapamycin and metformin as well as other lifespan-extending drugs in a bid to slow down the aging process. Also included in the doctor’s life-extension regimen are a prescription for physical activity and mild calorie restriction, both ways of combatting the metabolic slow down that occurs with aging. The doctor’s anti-aging cocktail is composed of medications available at the local pharmacy, drugs that are already FDA-approved for other uses. The physicians cocktail of lifespan-extending drugs includes rapamycin, metformin, statins, aspirin and angiotensin II disruptors. U.S. doctor prescribing cocktail of lifespan-extending drugs. Anti-aging drugs are still in the process of being fully vetted. The FDA does not approve aging as a treatable disease. Statins, aspirin and blood pressure medications are already approved by the FDA to treat heart disease. 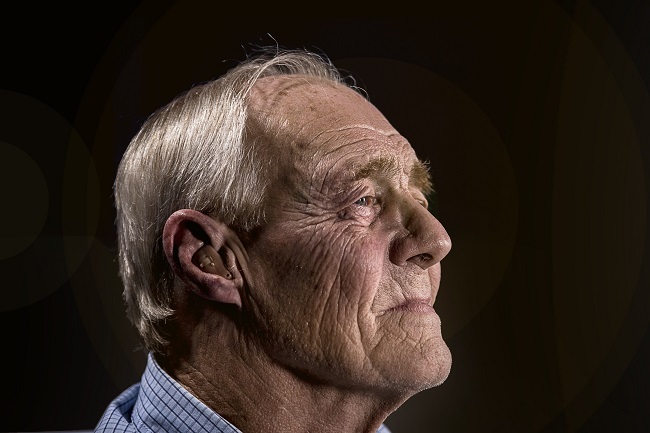 The drugs metformin and rapamycin are not yet approved to treat aging and are currently in clinical trials to test their life-extension powers. One U.S. doctor isn’t waiting for the results of those trials. 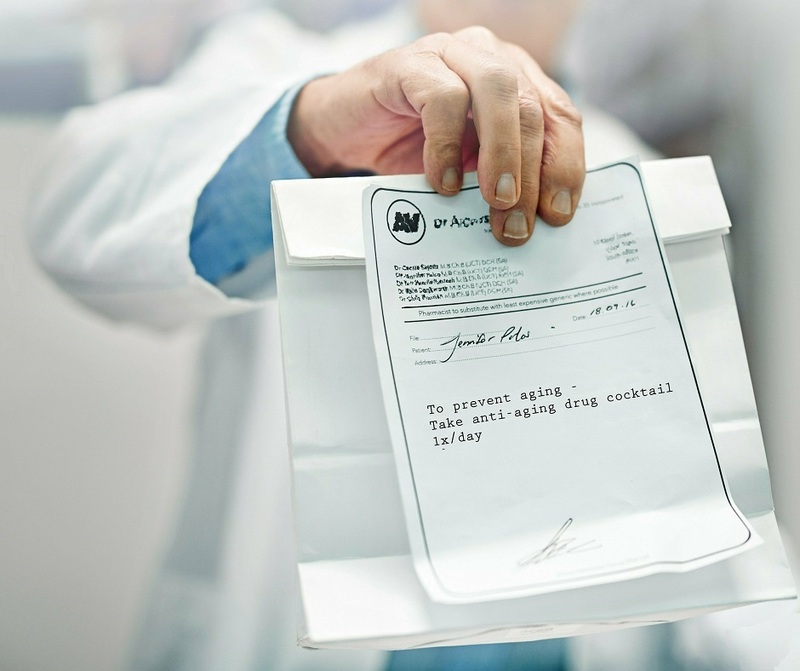 Alan S. Green, M.D., a New York physician has begun prescribing a cocktail of anti-aging drugs to his patients. According to his website, starting in January 2016, Dr. Green began taking rapamycin personally, as well. In a bid to ward off the ravages of aging, Dr. Green takes the medication along with other drugs already available at the local drugstore. Dr. Green’s prescription for slowing down the aging process include caloric restriction, exercise and a cocktail of anti-aging drugs. 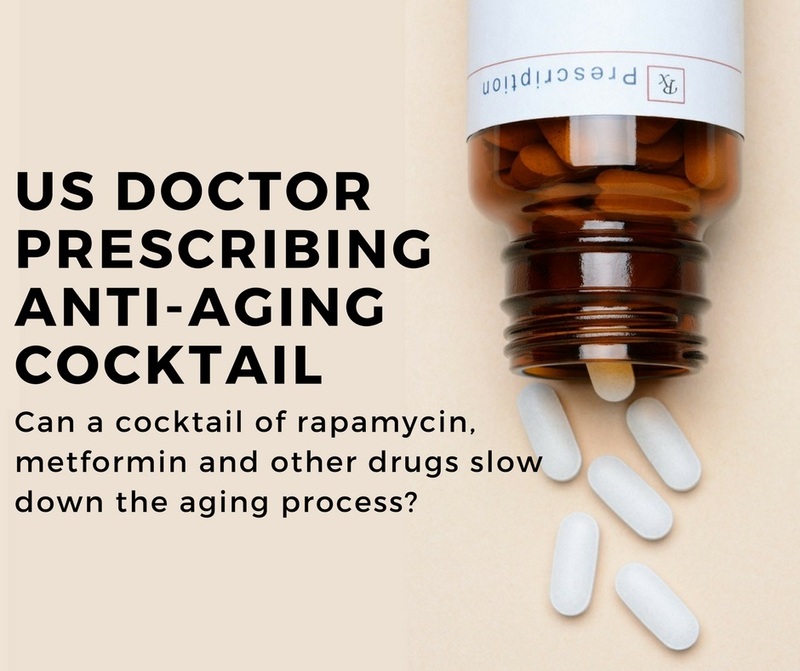 In addition to intermittent rapamycin, Dr. Green’s anti-aging drug regimen includes aspirin, metformin, and a standard blood pressure medicine. Rapamycin is the world’s most promising life-extension drug. The powerful immune suppressant is already used in transplant patients to prevent them from rejecting donor organs. Scientists believe the drug blocks the key aging pathway shared by all animals. The drug has extended the lifespan of every animal tested so far, from yeast to mice to monkeys. In a well-publicized experiment, rapamycin increased the average lifespan of middle-aged mice by about a third. Dr. Green started taking 6mg of rapamycin, once a week, in a therapeutic practice called intermittent rapamycin dosing. For comparison organ transplant patients typically take 1 mg every 12 hours of a form of rapamycin called everolimus. While Dr. Green takes about half the transplant dosage of 14mg/week, the anti-aging physician’s strategy is to avoid side effects by pursuing an intermittent dosing schedule. There is growing evidence to support the life-extending effects of once a week dosing with rapamycin. A related report describes the evidence behind low-dose intermittent rapamycin therapy. The New York anti-aging physician prescribes statins in his anti-aging cocktail. One of the side effects of rapamycin is that it induces high cholesterol, a condition known as hyperlipidemia. According to the doctor, the statins used are used to counteract the side effect of rapamycin. Physicians use statins to treat high cholesterol. Also known as HMG-CoA reductase inhibitors, researchers have found that statins reduce cardiovascular disease and mortality in high-risk patients. The evidence is strong that statins effectively treat heart disease in the early stages, in what is known as secondary prevention. Additionally, in what is known as primary prevention, researchers have shown that statins benefit people who are at elevated risk for cardiovascular disease but don’t yet have it. Furthermore, researchers believe that statins have lifespan-extending effects that extend beyond their cholesterol-lowering abilities. Medical science has yet to prove these drugs are useful for life-extension purposes beyond their cholesterol-lowering abilities. Physicians use the drug metformin to treat type 2 diabetes. Researchers have found that the drug has remarkable anti-aging powers in this group. Dr. Green uses metformin in the anti-aging cocktail for two reasons. First of all, the anti-aging research community believes that metformin is a life-extension drug, as it has been shown to prevent cancer and extend the lifespan of type 2 diabetics. The second reason is that metformin counteracts the glucose-raising side effect of rapamycin. Additionally, researchers have shown that metformin prevents type 2 diabetes in prediabetics. A decades-long track record and hundreds of research studies back the usefulness and safety of metformin in type 2 diabetics. As the linked article shows, researchers are currently conducting a clinical trial to test metformin’s anti-aging powers in healthy seniors. The American Federation for Aging Research (AFAR) is spending sixty-five million dollars on a clinical trial called Treating Aging with Metformin in the Elderly (TAME). Dr. Green adds aspirin for its ability to prevent cancer and heart disease. As a rationale, the doctor cites the recommendation of the US Preventive Services Task Force (USPSTF), which recommends low-dose aspirin therapy for certain older adults to prevent colorectal cancer and cardiovascular disease. Doctors commonly prescribe angiotensin II disruptors as blood pressure medications. These medicines decrease the rate of Angiotensin II production. This class of medicines includes angiotensin-converting enzyme inhibitors (ACEI), such as lisinopril and enalapril; and angiotensin II receptor blockers (ARB), such as losartan and candesartan. Dr. Green also recommends a form of caloric restriction as part of his anti-aging cocktail. Calorie restriction (CR) is the practice of drastically slashing calorie intake to improve health and retard aging. While it sounds unpleasant, a growing body of research suggests the practice fights disease and years to a person’s life. Practitioners define calorie restriction as a 20% to 30% reduction in calories, along with sufficient quantities of vitamins, minerals, and other essential nutrients. A typical healthy diet consists of 2000 daily calories for women and 2500 for men. The New York physician also includes physical activity in his anti-aging prescription. Studies show that regular exercise improves health and reduces the risk of developing diseases like type 2 diabetes, cancer, and cardiovascular disease. Physical activity enhances the quality of life and provides both immediate and long-term health benefits. Criticisms of the doctor’s anti-aging cocktail fall into two categories. The first criticism is that the physician is losing the opportunity to collect valuable scientific data. The second is that the doctor is testing too many interventions simultaneously, which could muddy the waters. Critics say that the doctor is missing an opportunity to advance medical science. The physician’s intent is to treat patients, rather than run an experiment. Hopefully, the doctor is collecting data in a way that will be useful to the field of anti-aging medicine. Researchers are keenly interested in knowing the long-term effects of this anti-aging cocktail. A second criticism of the physician’s anti-aging cocktail is that the doctor is testing too many interventions at the same time. If Dr. Green’s patients live longer, which part of his anti-aging cocktail is responsible? Was it the calorie restriction, the anti-aging drugs, the exercise or a combination? Hopefully, Dr. Green is collecting patient data systematically, in a way that can be useful to the scientific community. The data could tell us if this particular combination of life-extension interventions is helpful or harmful to health. Dr. Green’s patients aren’t the only ones taking anti-aging cocktails. A growing community of anti-aging enthusiasts takes life-extending drugs in a bid to hold back the ravages of aging. Google futurist Ray Kurzweil takes 100 pills daily. Like Dr. Green’s drug regimen, the Google futurist’s anti-aging cocktail also includes statins and metformin. An entire anti-aging industry has sprung up to serve the needs of life-extension enthusiasts. Google invested 1.5 billion dollars on startup Calico, a company tailored to developing life-extension therapies. A U.S. doctor is prescribing an experimental anti-aging drug cocktail that includes metformin, statins, intermittent rapamycin therapy, aspirin and blood pressure medications. In addition to the anti-aging drug cocktail, Dr. Green also recommends calorie restriction and exercise. At least two of the drugs in the cocktail has not yet been fully vetted by the FDA for anti-aging purposes. Rapamycin has not been thoroughly tested as an anti-aging drug. Researchers are currently testing the drug for this purpose in clinical trials. Nor has metformin been fully vetted. Metformin is currently in a clinical trial called the Treating Aging with Metformin in the Elderly (TAME) study. The trial will test the drug’s anti-aging powers. While Dr. Green’s anti-aging cocktail looks good on paper, it is a risky strategy because these drugs have not been tested together in a clinical trial. The medical community doesn’t know if this particular combination of anti-aging interventions is helpful or harmful to health. Help us spread the word – Show some love and share this post on your social media account. It only takes one click on any of the social media links on this page. Sign up for our email list – We use your email to notify you of new articles. We don’t spam, and we won’t share your email address. You may cancel at any time. We love comments – Tell us what you think. Scroll down and leave your comments in the field below. David E Harrison et al. “Rapamycin fed late in life extends lifespan in genetically heterogeneous mice.” Nature, 2009, 460 (7253): 392–5. doi:10.1038/nature08221. PMC 2786175. PMID 19587680. Available Online. Alan S. Green, MD. “The Medical Practice of Alan S Green, MD.” Retrieved August 17, 2017. Online publication. US Preventive Services Task Force (USPSTF). Final Recommendation Statement: Aspirin Use to Prevent Cardiovascular Disease and Colorectal Cancer: Preventive Medication. U.S. Preventive Services Task Force. November 2016. Retrieved August 17, 2017. Online publication. WILLCOX, B. J., WILLCOX, D. C., TODORIKI, H., FUJIYOSHI, A., YANO, K., HE, Q., CURB, J. D. and SUZUKI, M. (2007), Caloric Restriction, the Traditional Okinawan Diet, and Healthy Aging. Annals of the New York Academy of Sciences, 1114: 434–455. doi:10.1196/annals.1396.037. Available Online. This article does not provide medical advice and is intended for informational purposes only. Never disregard professional medical advice or delay in seeking it because of something you have read in this article. The information provided in this article should not be used during any medical emergency or for the diagnosis or treatment of any medical condition. Call 911 or equivalent hotline for all medical emergencies. Consult a licensed and qualified physician for the diagnosis and treatment of any and all medical conditions. Experimental therapies carry a much higher risk than FDA-approved ones. Furthermore, experimental drugs & therapies pose a higher risk of side-effects that could harm your health, due to the uncertainties inherent in clinical research involving new medical products. This article is not intended to endorse companies, organizations or products. Specific company names or brands mentioned or depicted herein are for illustration purposes only and do not constitute endorsements of those organizations or their products. Links to other websites are provided for information only, and they do not constitute endorsements. Add more pics.. maybe ? Mikhail Blagosklonny’s 2014 paper, “Koschei the Immortal and anti-aging drugs”. Trying to remain in good health till age 85 or beyond is a very formidable goal and requires everything available. To extent weekly rapamycin causes any undesirable side-effects, every effort is taken to prevent those side effects. Practice is going very well since started 9 months ago in May 2017. I am collecting data and expect to present full report in 2028. I am a clinician and my goal is the best treatment of the one patient in my office. Rapamycin doesn’t have a press agent so incorporation of rapamycin into general use will be an extremely slow process.